On this day in 2014, Manchester United failed to qualify for European competition for the first time in 25 years. 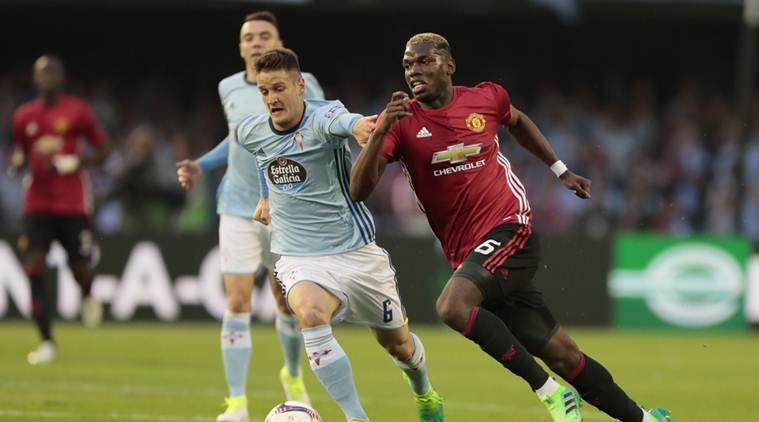 Three years later, United has a chance to make the Europa League final with a positive result against Celta Vigo tonight. It has been 1,095 days since United drew Southampton and finished seventh in the Premier League and currently the Red Devils sit in sixth place in the league with three games remaining. The question remains, has United improved since May 11, 2014? The answer may not be as simple as yes or no, but the answer could be altered by the result tonight. Manager Jose Mourinho has made it clear that his squad will be fully focused on the Europa League as their route for next year’s Champions League meaning that their final place in the Premier League may not be so glamorous. Since the end of the 2013/14 campaign, United hired Louis van Gaal, finished fourth and qualified for the Champions League, then finished sixth the next season after failing to make it out of the Champions League group stage (but won the FA Cup), hired Jose Mourinho, won the EFL Cup and now are in the Europa League semi-finals while sitting at sixth in the league. By many accounts, it has been a circular three years with performances remaining consistently average. Obtaining a European trophy would certainly make the 2016/17 season seem like less of a failure, but if they are not able to due this, it could mean disaster. Say, hypothetically, United were to lose 2-1 tonight and bow out of the competition, they would then likely need to beat Tottenham, Southampton and Crystal Palace while relying on results elsewhere to maybe finish fourth. Simply put, the Europa League is a must win for Mourinho’s men. He went on to state how he has emphasized to the team to “respect the opponent” in Celta Vigo. The Spanish side are playing in their first ever European semi-final, one that locals are calling the biggest match in club history. “We deserve to be here,” captain Wayne Rooney said. “This club belongs in [the Champions League]. After a first leg away from home where the Old Trafford side played rather conservatively, sneaking away with a 1-0 win from a Marcus Rashford free kick, United will not be able to sit back as much as they would like. Celta Vigo will be expected to come out with an attacking mindset from the start, only needing a 1-0 result to force extra time and a 2-0 or 2-1 result to win the tie. For United, parking the bus for 90 minutes will not get the job done. Known for playing defensively in big games, Mourinho will have to come out of his comfort zone and hit the front foot early to try and snag another key goal. Only in the last 15-20 minutes would it be a good idea to go overall defensive. Even then, there should be an emphasis on counter-attacking as Celta Vigo is bound to have a wide gap between their backline and midfield. Midfielder Paul Pogba will also be vital for United to ensure possession and fluid transitions from defense to offense tonight. Focus will be the top priority for the United players, while Old Trafford is sure to encourage a brave performance. The victor tonight will likely face the Dutch side Ajax in the final on May 24 in Stockholm.